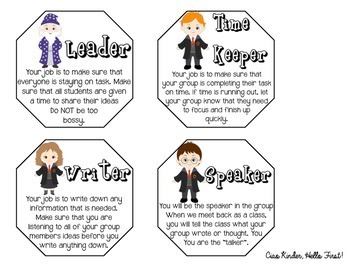 Harry Potter cooperative learning job cards. This set includes 4 jobs (writer, time keeper, leader, & speaker). Each card has a short description to remind students of their jobs.